This apartment is located in Dumbría and sleeps 4 people. It has barbeque facilities. The apartment is walking distance away from swimming spots. The apartment in Dumbria, A Coruna, has capacity for 4 people and has 2 bedrooms and 1 bathroom. 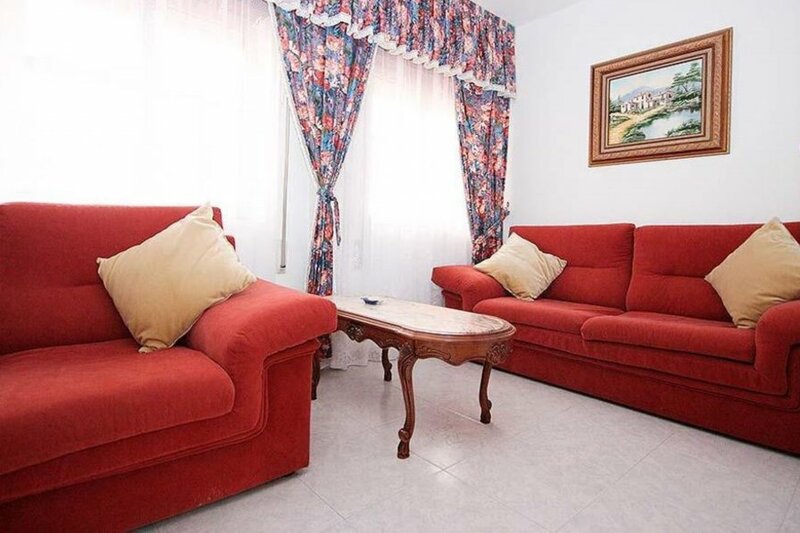 The accommodation is 75m2, fully equipped and cozy, is located into a quiet neighborhood and by the see. The accommodation is equipped with kitchen, coffee maker, dishes and tableware, freezer, microwave, oven, refrigerator, Toaster, pan, iron and ironing board, washing Machine, linen - bed sheets, towels, beach walks, dining room, terrace, babies allowed, bathroom with tub, independent kitchen, young people group not allowed, parties and events are forbidden, without elevator, barbecue, shopping, tourism, sports, location type, leisure, swimming, beach, mountain view, family and children welcome. It is located 0.1 Km from the Sand Beach Playa Ezaro, 0.05 Km from Supermarket, 86 Km from Airport Santiago and 0.6 Km from River. It has Mountain View.